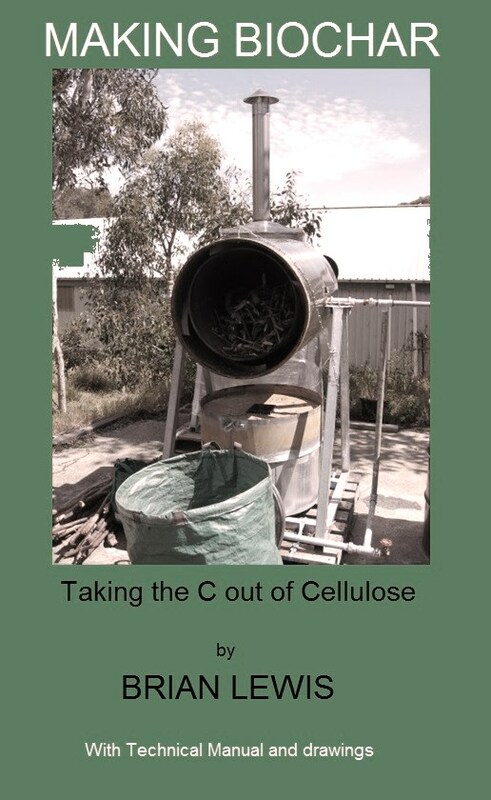 “Making Biochar – With Technical Manual” was written by Brian Lewis based on the experience gained from 5 years of developing and trialling 3 different styles of biochar kilns in the Adelaide Hills region of South Australia. The book provides a good introduction to biochar basics, distinguishes between the different types of kilns that can be used and provides detailed and practical instructions on the operation of a retort style biochar kiln together with a chapter on the economics of making and selling biochar. Detailed drawings of two types of kiln, the retort style and the gasifier style, are included as a resource on the publisher's website. A case study on using a retort kiln by a commercial winery is included. And a description of a Do-It-Yourself gasifier kiln is also included. This book will be of interest to all biochar enthusiasts, small landowners, horticulturalists and anyone else interested in the improvement of soils by the addition of carbon and the potential for a biochar industry to contribute to the supply of carbon credits. Buy the epub version directly from this website or buy the Kindle version from Amazon.com. Purchase includes the following format: epub.